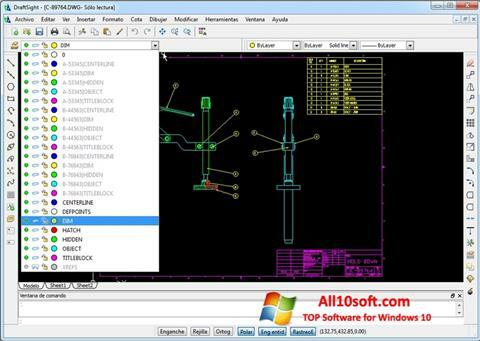 DraftSight for Windows 10 - CAD tool for creating geometric models and 2D drawings. Distinctive features of the utility is a simplified interface and rich functionality. The software is a convenient, fast and stable application for drawing, which is useful for architects, designers, people of technical professions. With the help of a set of tools, the user will be able to create a geometric three-dimensional model of any object and quickly convert it into a drawing. You can use components for autobuilding the cut, zooming. The interface will be intuitive to anyone. You can free download DraftSight official latest version for Windows 10 in English.